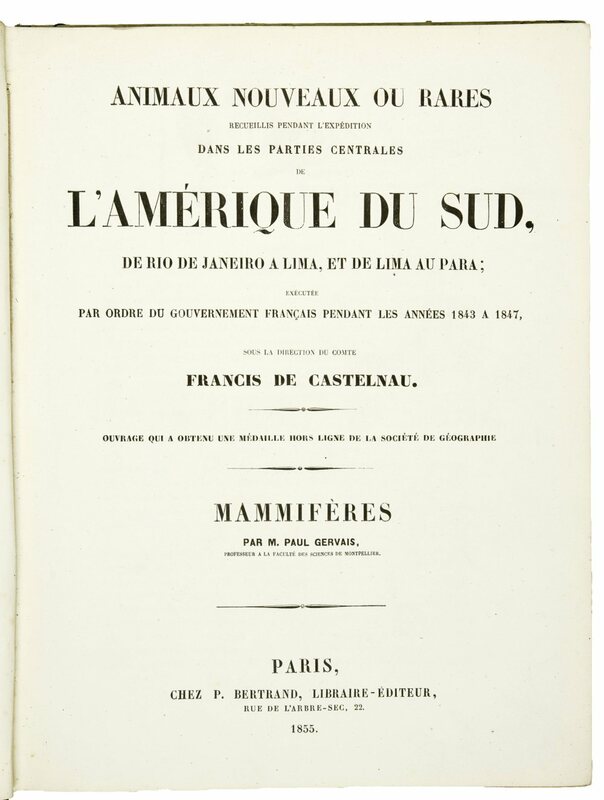 Animaux nouveaux ou rares recueillis pendant l'expédition dans les parties centrales de l'Amérique du Sud, de Rio de Janeiro à Lima, et de Lima au Para; exécutée par ordre dugouvernement français pendant les années 1843 à 1847 ... GERVAIS, P. Mammifères. Paris, P. Bertrand, 1855. Large-4to (305 x 235mm). pp. 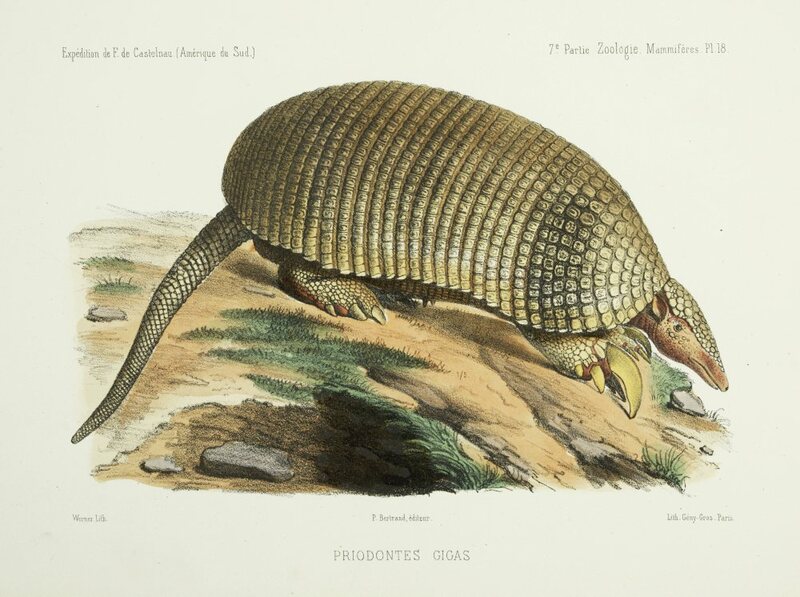 (4), 116, with 20 (12 hand-coloured) lithographed plates. Contemporary half cloth printed boards. 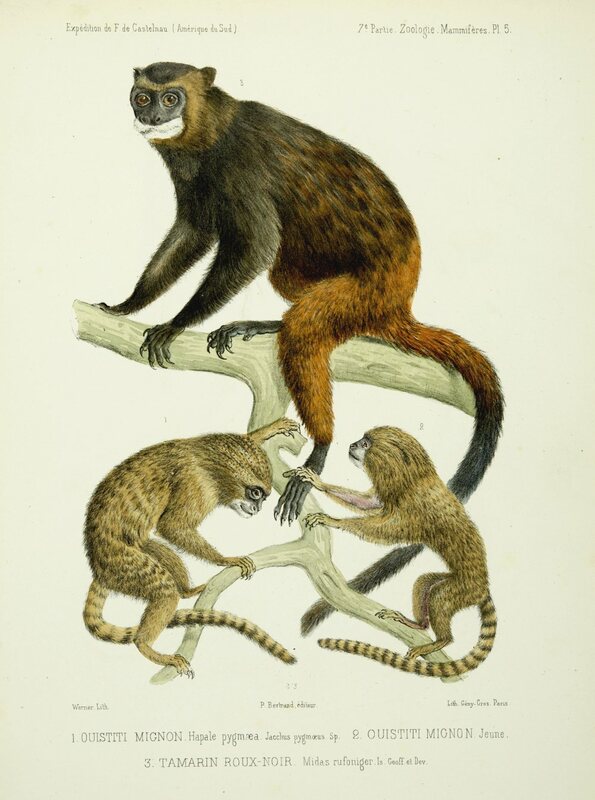 Complete part on the mammals of this famous expedition to a large part of South-America, of which Wood said that it was one of the most valuable contributions of its kind in all zoological literature. 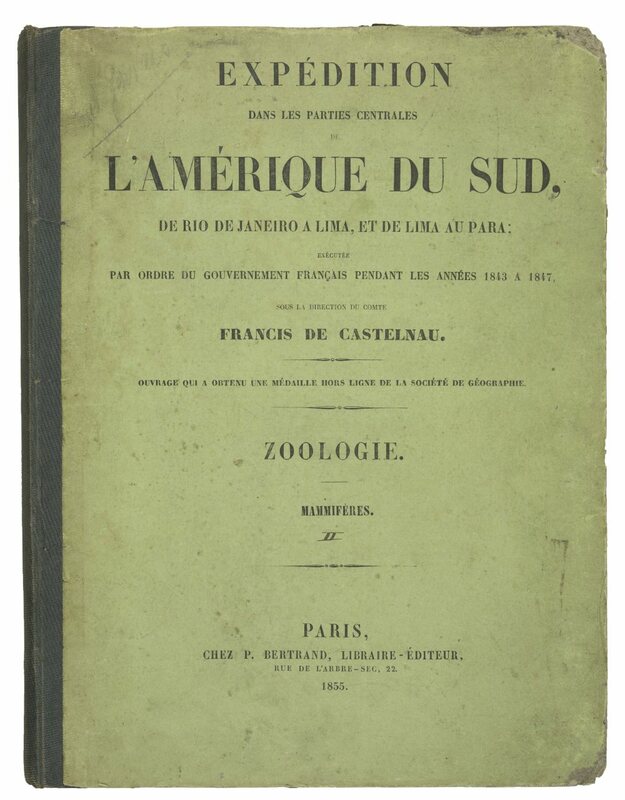 François de Castelnau (1810-1880) was a French naturalist and studied natural history under Cuvier and Saint Hilaire. 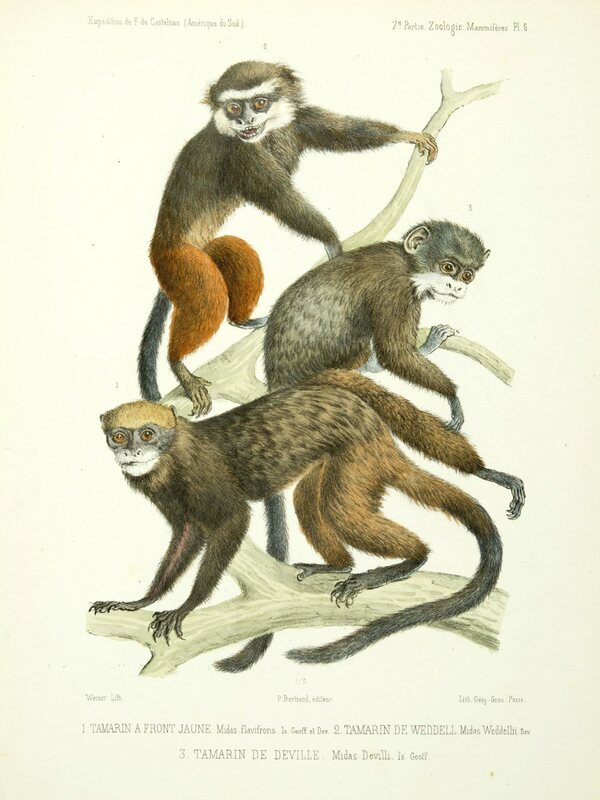 The collection of hundreds of zoological specimens and 5,000-6,000 plant specimens resulted in the discovery of many new species. 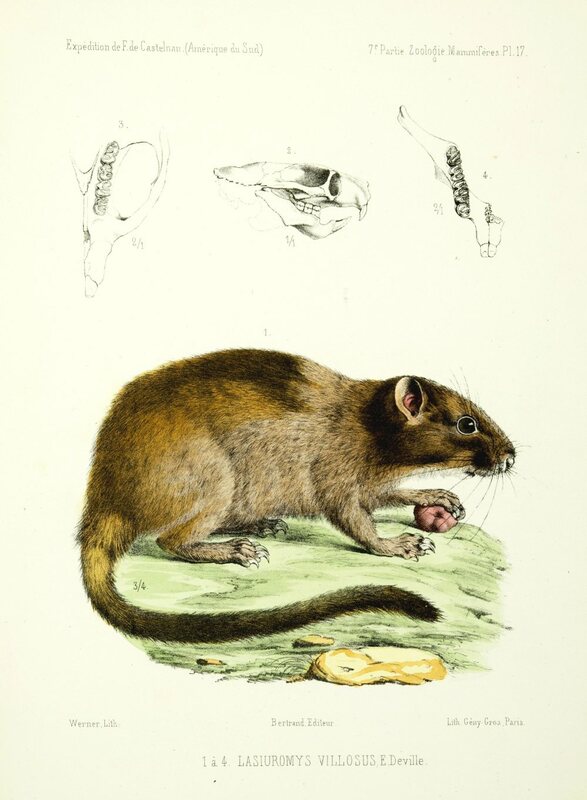 The coloured plates are by Werner. 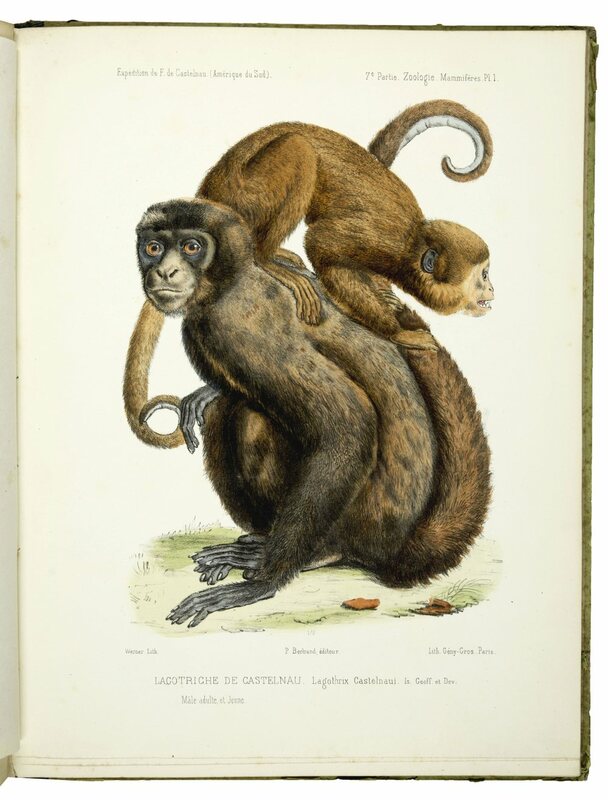 Jean-Charles Werner (1798-1856) was a natural history artist and comparative anatomist for the Muséum dHistoire Naturelle in Paris, where he contributed some 350 paintings of animals on vellum for the famous Collection des vélins between the years 1826 and 1856. cf. Nissen ZBI, 837; cf. Wood 281.